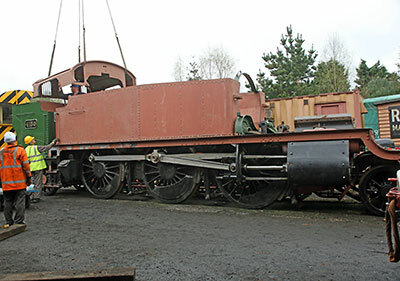 On 29th March a road crane was brought in to lift the boiler from the frames in readiness for its overhaul. The opportunity was taken to lift on the new bunker and tanks. 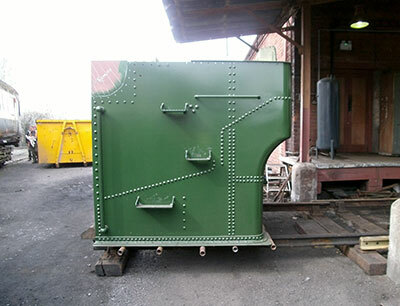 As a first move, the new bunker emerges from Bewdley Goods Shed, on broad gauge track! Photo: Tony Howard. 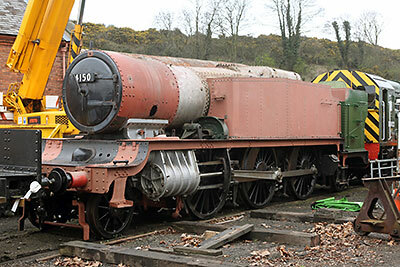 The bunker is now fitted on the frames, and the new tanks have been fitted temporarily to the frames with the boiler still in place, in order to check clearances. Photo: Bob Sweet. 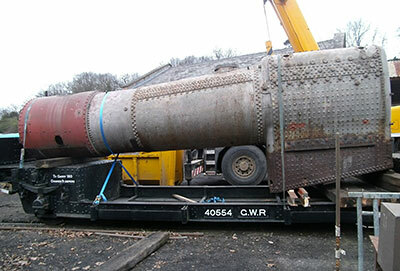 With the tanks now removed again, the boiler is lifted clear of the frames. Photo: Bob Sweet. 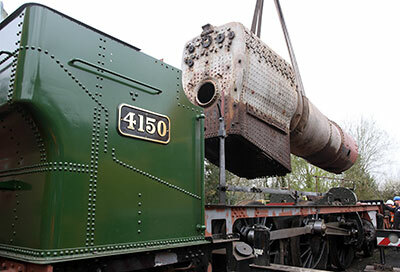 The boiler sitting in its new temporary position on the GWR Chaired Sleeper Wagon. Photo: Tony Howard. 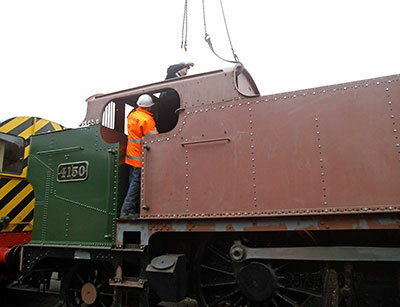 With the boiler removed, the cab roof is being lowered onto the tanks and bunker. Photo: Bob Sweet. 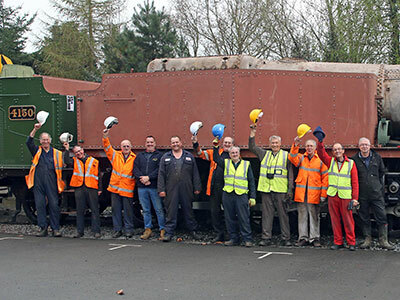 For the first time in many years, bunker, cab roof and tanks are all in place on the loco. Photo: Tony Howard.